What if I were to reveal an intuitive yet practical framework that cuts through the emotional and physical clutter obscuring your path, so that it becomes possible to envision the life you want and also make that vision real? What if you were to learn a set of simple, three-minute exercises that can alleviate pain, release you from resentment, and erase any residual shame you feel from past or present experiences? What if you were able to activate your own inner resources so that you could finally “play big” in your life without ever having to posture or pretend to be someone you’re not? Fully engaging in the marvelous creation of your own life is everyone’s birthright. And yet few of us feel like we have the power to shape our own lives. Why do so few people believe they can get what they most want in life? Why do so many of us seem to fall short of our dreams? We get a taste of gratification and purpose, but then we watch, frustrated and helpless, as the momentous occasion or achievement seems to disappear, becoming a hazy memory. Just like going on a diet to lose weight for a big event and then watching as the pounds return with a vengeance, as if the weight is in control of your body, not you. Indeed, sometimes our own minds, bodies, and actions seem to work at cross purposes with our goals. Why is that? Subconscious Power makes the road to ultimate self-improvement accessible by showing you how to tap into a powerful force within you, a capacity for agency that you more than likely did not know you possessed. What is this mysterious power within? Your subconscious. I prefer the term “subconscious” because it both offers a more positive connotation and feels more instinctive and closer to what we think of as intuition. Its power stems from the access the subconscious gives to our inner mind, which often knows more than we realize and always has a magical, elusive quality. When you meet someone new and have an immediate sense of unease for no obvious reason, that’s your subconscious talking to you. When something within you compels you to turn right instead of left on your usual route to the grocery store, that’s also your subconscious talking. When you go on a job interview and come away with a feeling in every cell of your body that this is the opportunity you’ve spent your whole life waiting for—that’s your subconscious. When you learn to attune yourself to this power and tap into its energy, the subconscious can then become your inner compass, guiding you to the life you truly desire and deserve. I also refer to the subconscious as your inner eight-year-old. Why eight? Think about your eight-year-old self. He was old enough to think independently, yet young and innocent enough to listen to his true nature without worrying about what he was supposed to do or how he was supposed to act. If she didn’t like her great-aunt, she wasn’t going to pretend she did for the sake of family politics. In other words, eight is the age when we can articulate ideas and have opinions, but have not yet been overtaken by the vigilance of the conscious mind. The eight-year-old self speaks the truth frankly—exactly how she sees the world, without any interference from the expectations of others. He loves others without reserve and intuits the fact that we are all connected. Our inner eight-year-old relies on symbolism, takes everything personally, and is fully engaged in whatever activity is present at the time. But we age and mature, we silence the voice of our subconscious self; our eight-year-old grows up, disconnects from that inner voice of truth, and seems to disappear. In the pages ahead, you are going to not only find your subconscious; you will also reclaim its power. We are at a point in our evolutionary cycle where we have become out of sync with our natures and need the subconscious more than ever. It’s as if the more our brains become empowered—with information and knowledge—the louder the noise of the conscious mind, and the less access we have to the inner softness and enlightenment of our subconscious. Think about it: our lives are increasingly complex. The technology that’s designed to make our lives easier and more productive often leaves us feeling overwhelmed on a daily basis. At the same time, we’ve become separated from the natural world. This complicated, high-tech world has forced us to silence our subconscious and let our conscious selves take over. We have become too conscious, too driven, too obsessed. Where does this leave us? Disoriented, ungrounded, and stressed. We feel unbalanced, out of control, because we are disconnected from our subconscious, our inner, true self that knows best what we need to make us happy. By tapping into your subconscious, as I’ll show you how to do in this book, you will cut through the chaos and confusion of your daily life to know immediately, in the here and now, what you need—what your mind, body, and soul require—so that you can create the life you truly desire. All of us make choices during our lives and decisions that aren’t in our best interest. My program is designed to teach you how to make choices that are positive and affirming. You may be wondering how one book, one program, can make so many different types of promises. That’s just the thing: your subconscious contains the capacity for big problems and small challenges. It’s a superpower that can adapt in scale to whatever you need it for. One of my clients, Matthew, a thirty-nine-year-old investment banker, was able to quit his twenty-five-year smoking habit. Lori, a forty-two-year-old former model, was able to reduce bloating steroid medicines she’d been taking to manage pain related to fibromyalgia. Kendra, a sixty-year-old art dealer, described living a life free of the crippling anxiety that had been keeping her like a prisoner in her own home. Throughout the book, you will meet other clients who have used my approach to solve physical and emotional problems that had been holding them back from not only living full, satisfying lives but also from achieving their fullest potential. Bringing people back into balance has been my life’s work. As a board-certified, registered hypnotherapist, I have used my rigorous training in hypnosis and neuro-linguistic programming (NLP) to help people solve everyday problems that constrain their abilities and hold them back from truly experiencing and enjoying the full potential of their lives. My work with women and men of all ages and backgrounds is based most generally on the tradition of Ericksonian hypnotherapy (founded by Milton Erickson, MD); however, it is also supported by substantive research in neuroscience, cognitive science, positive psychology, and Gestalt therapy. 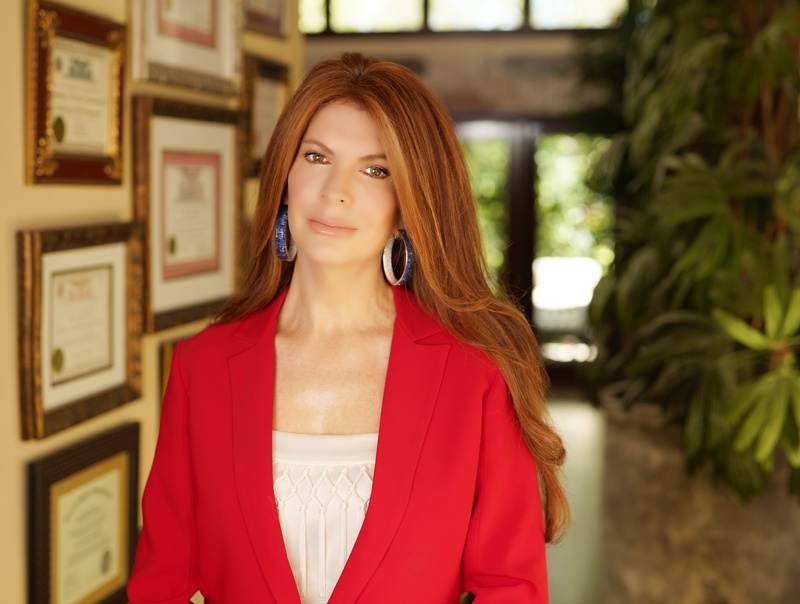 Over a twenty-year career as a certified hypnotherapist and life management consultant, I have worked with all sorts of people—world-renowned actors and actresses, sports stars, millionaires and billionaires. I’ve learned that these people, for all their fame and fortune, are exactly like the rest of us. They share the same problems, challenges, and obstacles in their lives. Problems that you would assume stardom, wealth, and access to anything they could ever want would keep at bay. But you would be wrong. Every one of us is like a car or other machine. And everyone’s car has had some mechanical malfunction at some point in time. Now imagine a car that ages as we all do. Chances are, any problems, if unaddressed, will get worse with time, regardless of how much money you make and how famous you are. Your thoughts, both conscious and subconscious, are vulnerable to mechanical issues and anxiety. Depression. Addiction. Fear. Loneliness. Low self-esteem. Weight gain. Chronic illness. Disease. Relationship conflict. These are ordinary problems that can take hold of our lives, blocking our path, ruining our chances of making our dreams come true, and, in many ways, undermining our health and happiness. Hypnosis can offer men and women relief and release from various problems, in varying degrees of severity. Some people need to heal from past traumas. Others must get over failed relationships in order to meet a suitable mate. Other women and men come to me to lose unwanted weight that has completely consumed their vision of themselves and swallowed their hopes and beliefs in their own potential. Many clients start their journey by learning new ways to manage their anxiety, depression, and other emotional issues. Others finally achieve lasting weight loss. Still other people come to a place of clarity and wholeness when they realize that their social or romantic entanglements are keeping them from success in other aspects of their lives—professional, creative, or spiritual. And still others, who may have reached massive success in one realm, come to discover, through accessing the power of their subconscious, even more satisfaction in another arena: a new career, for instance. Mining the resources of your subconscious ultimately brings you supreme agency over your life. Agency is that capacity that enables us to actively shape our lives instead of being a passive participant. The Six Principles of Subconscious Power are designed to give you the inner tools to build and harness agency, which culminate in the final principle: the ability to play big. 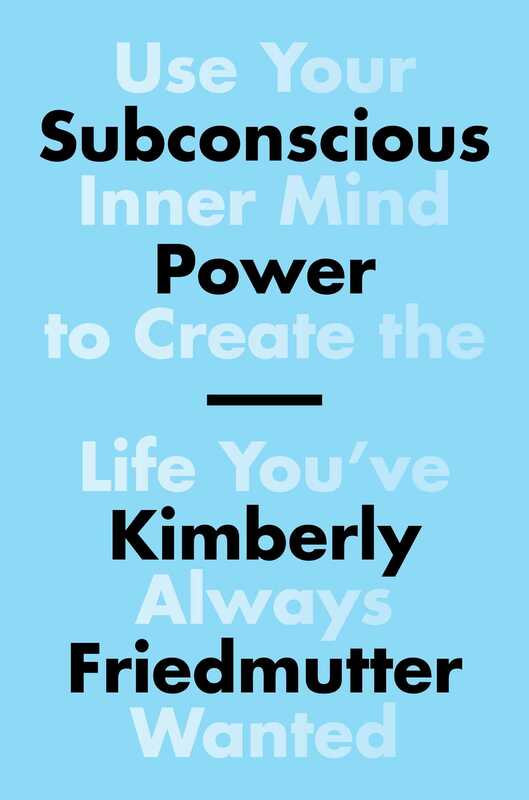 Indeed, Subconscious Power takes the work I do with my clients—and the very process I use for myself—and makes it accessible and attainable for you in your life. Using the insight into how hypnosis works and exercises I designed to deepen the exploration of the subconscious, you will give yourself the gift of learning who you are and who you can become. You will remove the obstacles that are in your way and connect to your own superpower. The trance state of hypnosis has the power to deliver almost instant insight and clarity. There’s a lot of focus on mindfulness these days, but my approach is different, and in many ways simpler: it asks you to zone out instead of zoning in. Because trance is an innate state (more on this in a minute), you don’t need any special equipment to access it; indeed, it’s a natural extension of your subconscious power. All you will need is awareness and a willingness to act; and the exercises in this book (I call them Hypnotic Hacks) are designed to help you do exactly that. You can use trance to upend your current status quo and get what you really want and truly deserve. This program will teach you to quickly tap into your own subconscious so that you can cut through the minutia of everyday life, let go of common yet false beliefs, and stop settling for a mediocre life; you can aspire to and achieve a great life, the big life, the life you deserve. My clients are amazed when they realize how easy it is to let go of their habits of self-sabotage and the stress that comes with a seemingly never-ending to-do list. That’s the magical part of Subconscious Power: it allows you to easily release your distractions and worries so that you can experience your life more fully. So that you are not just surviving life, but surviving successfully. So that instead of living a life constrained by doubts and fears of isolation, you discover one in which all your relationships feel copacetic and supportive, energizing and reciprocal. Some people may still carry an inaccurate impression of hypnosis or believe they are “just not suggestible.” Still others are afraid of where they might “go” when being hypnotized. This book will address these misconceptions and clarify, for good, how hypnosis and its practices can lead to remarkable transformation. As if holding a torch to illuminate the path, I help my clients find their way out of the darkness, rise above hopelessness, and continue past the obstacles that block their way. Most issues are simply imagined scary shadows created by long-gone skeletons or stubborn but untrue beliefs that still go bump in the night, years after we consciously know better. This book will connect you to your subconscious and a vast source of energy and light that will help you cut through the clutter that is dragging you down and offer you ease, abundance, and so much more. Through my work, I’ve seen many lives turned around in big and small ways. By connecting to their subconscious, my clients have learned to discern between what’s real and what’s not; what matters and what doesn’t; what’s necessary and what’s dispensable—one ladder rung at a time. Every step they take elevates them to the next level of understanding and enlightenment about themselves and the power they have to change their lives. You will read their stories, observe their transformations, and, I hope, be inspired to create the life you want. This book shares Six Principles designed to illuminate your subconscious and activate it. These principles are based on truths that have emerged from my years of working with all types of people, coupled with powerful hypnotherapeutic techniques. Just like my clients, you can use these principles and exercises to excavate what’s not working in your life and connect to your subconscious self. It’s the subconscious that enables all of us to know exactly what to do. Once we learn to listen to our subconscious, it can guide us to the life we truly desire. When I work one-on-one with clients, I guide them into a relaxed hypnotic state (nothing in the world feels as good as trance). I then ask questions that prompt them to reveal themselves to me and to themselves, a process of self-revelation that is both healing and transformative. The principles and exercises in this book will do the same for you, acting as a form of self-hypnosis that you can use in your daily life. You might think of these three-minute hypnotic hacks as mini lessons. They are not strenuous, though they may be challenging at first. They do not require you to commit to years of therapy—who has time for that? These exercises are designed to give you less to do and think about consciously. By tuning into the subconscious, you give your tired conscious mind a much-needed break. This is the master plan of Subconscious Power: using your own capacity for trance and connecting with your inner eight-year-old, you will quiet the too-loud voice of your conscious mind so you can once again hear your subconscious. Indeed, you will feel like you work less hard, yet get more in return. Part 1, “The Hidden Potential of Your Subconscious,” explains the Six Principles and shares key hypnotic hacks to help you tap into the wisdom of your subconscious. These hacks work for you in two important ways: they help you become aware of the powerful energy of your subconscious, which in turn helps prepare you to balance your overwrought conscious mind. The more adept you become at communicating with your subconscious, the more you will learn how to use its spontaneous focus and cogent insight to tamp down the controlling, overthinking conscious mind. I affectionately refer to the conscious mind as the Critical Thinker because of its tendency to get caught up in the minutiae of decision-making, trying to exert control over all the details of everyday life. Indeed, the Critical Thinker can often lead to so much anxiety, we end up falling into a well of analysis-paralysis. In addition to the subconscious and the conscious mind, you will also learn about another dimension to this program: what I refer to as your SoulSpirit. Think of the SoulSpirit as God, your inner divinity, or your connection to the spiritual realm. This dimension is highly personal, as we all differ in our spiritual beliefs; however, its presence is not only ubiquitous but infinite because it connects you to the wider universe. Throughout the book, you will encounter reminders to connect to your SoulSpirit, which reinforces your access to your subconscious and seals your everlasting connection with the universe as a whole. Ultimately, by the end of the book, you will come full circle and learn hacks that will connect you directly to the energy of the SoulSpirit. In each of the chapters of part 1, you will use the Six Principles to facilitate the changes you want in your life—some of these shifts might be related to negative or self-defeating thought patterns or behaviors; some might be related to the relationships in your life that need recalibration. And although the Six Principles appear in a particular order, as do the Hypnotic Hacks, they ultimately can be used in any way that appeals to you. You may also find yourself returning to certain hacks again and again. The chapters in part 2, “Master Your Best Life,” zero in on specific issues that can undermine your subconscious power or leave your subconscious and your conscious mind out of proper balance. You will use new hacks in tandem with the ones you learned in part 1 to troubleshoot life’s inevitable challenges, including how to get out of drought, that state of negativity that can separate you from your subconscious; how to support and nourish your body so that it can do its best work for you; and how to heal old wounds and restore your relationships. All of us, at one time or another, have been disappointed—in our bodies, our minds, our hearts, our relationships, our life experiences. Any pain or discomfort, regardless of its degree of trauma, creates a fragmentation and separation from who we truly are, distancing us from our subconscious. In these chapters, you will learn how to connect these fragments so the awareness you developed through the Six Principles can deliver you into your new life. Finally, in part 3, “Leap of Faith,” you will come to understand that life is not a line, but a loop. In other words, by connecting with those loved ones who have passed away (a state of transformation that I refer to as “transitioned”), you will reinforce your SoulSpirit connection. Like the universal principle of the conservation of energy, we never cease existing; we simply change form. Think of how ice changes from solid to liquid to water vapor under the influence of temperature. I believe that life has no end, just constant beginnings. As you work through the Six Principles, I also suggest you jot down notes—not to chronicle your process—again, I want this whole book to feel easy-breezy. Rather, putting down your thoughts and feelings as you move through the chapters and exercises will keep you tapped into your subconscious in a spectacular way. As you nurture your relationship with this inner self, you will be able to accomplish small feats with ease: set daily goals and achieve them; create more time to truly relax; get along better with the people in your life; leverage your strengths to get what you want. Before beginning this process, I want you to know one thing about me: I’ve walked this journey myself. I’ve made my share of mistakes, gotten off course with the wrong people at the wrong times, and believed that life had to be a battle. I was brought up to believe all the clichés: no pain, no gain; no guts, no glory; and other lies about value. But it was not until I discovered hypnotherapy that I was able to heal and move past beliefs, habits, and behaviors that were keeping me in my own dark cave. Hypnosis taught me I didn’t have to struggle, didn’t have to become tough as nails or hard as metal in order to succeed. In other words, through hypnosis I learned that life isn’t a battle, so I don’t have to make it one. Like me, this process is grounded in reality, but aimed at getting you to the stars. You know that phrase, “I love you to the moon and back”? That’s the channel we’re on. The Six Principles can take you from the grass in your garden to Jupiter, from the sea to stratospheric Saturn, from beer to bubbly champagne—all while you are becoming the real, super-improved you. It’s not time travel, but soul travel. My mission is to show you how to use your journey to your best advantage. Your future can evolve as big and wide as the ocean and as endless as the sky. And I will show you how to get there. You will, however, need to show up—not for me, but for yourself. You will need to be honest when you look at yourself. You will need to allow room for the truth, so the truth can appear with clarity. With the truth on your side, no matter how scary, uncertain, or threatening situations in your life may seem, you will create a happier life, a life of learnings and the love you truly deserve.